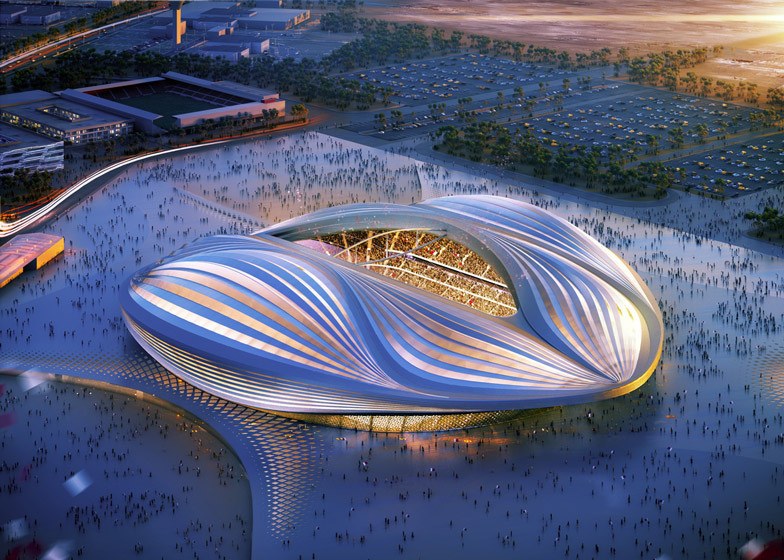 Zaha Hadid's competition entry for the 2020 World Cup in Qatar has been widely critisized as resembling a part of the female anatomy. It has been widely viewed the goal posts are not part of a soccer field but seem to more like the clitorious of an unassuming body part. How many curves are enough on a building and when does it become ridiculous or implore us to boldly change the way we in visage architecture?